We trust you stayed safe online this week and didn’t find yourself with a malware infection or loss of data due to a phishing scam. 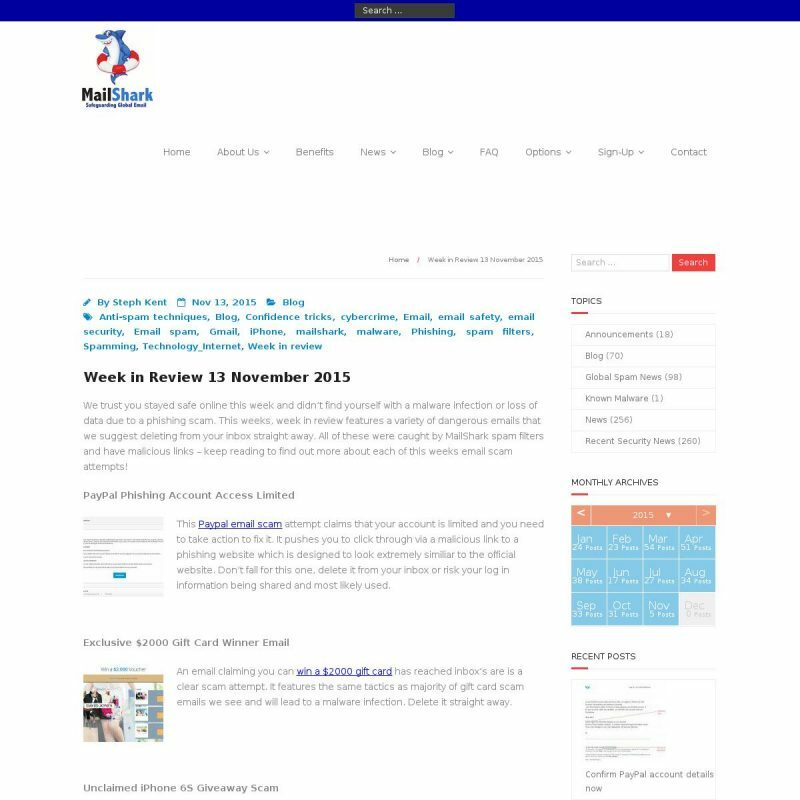 This weeks, week in review features a variety of dangerous emails that we suggest deleting from your inbox straight away. All of these were caught by MailShark spam filters and have malicious links – keep reading to find out more about each of this weeks email scam attempts! 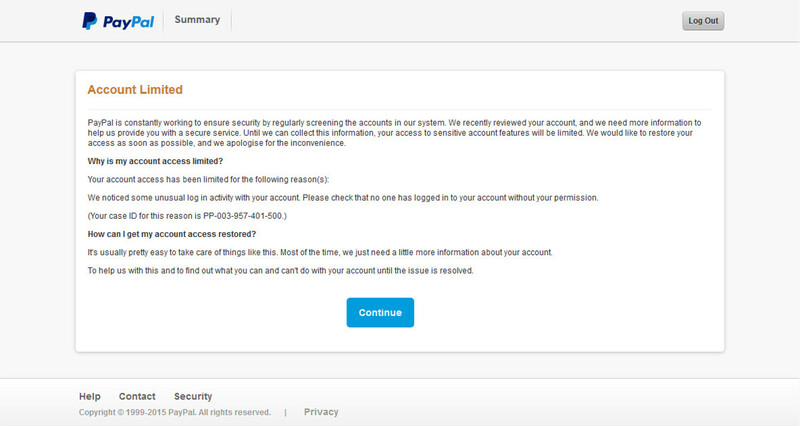 This Paypal email scam attempt claims that your account is limited and you need to take action to fix it. It pushes you to click through via a malicious link to a phishing website which is designed to look extremely similiar to the official website. Don’t fall for this one, delete it from your inbox or risk your log in information being shared and most likely used. 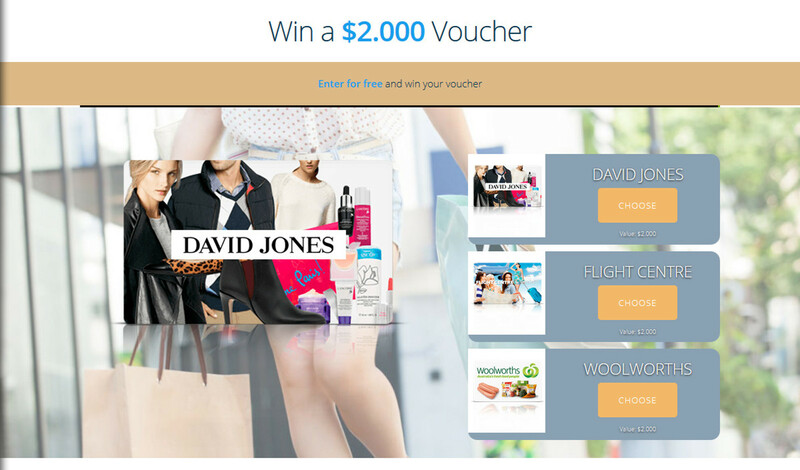 An email claiming you can win a $2000 gift card has reached inbox’s are is a clear scam attempt. It features the same tactics as majority of gift card scam emails we see and will lead to a malware infection. Delete it straight away. 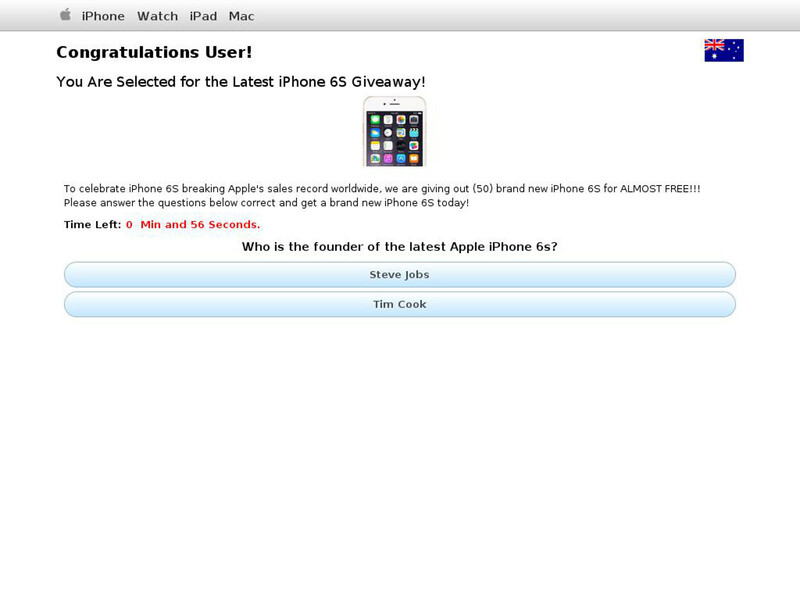 An email appearing to be sent by an Apple related survey centre is claiming to giveaway an iPhone 6S. It is averagely designed and features no personal greeting plus many other spam indicators. Stay safe and just delete it – you won’t receive the phone but you will receive a malware infection. A mail security service alert email has been caught by MailShark spam filters. 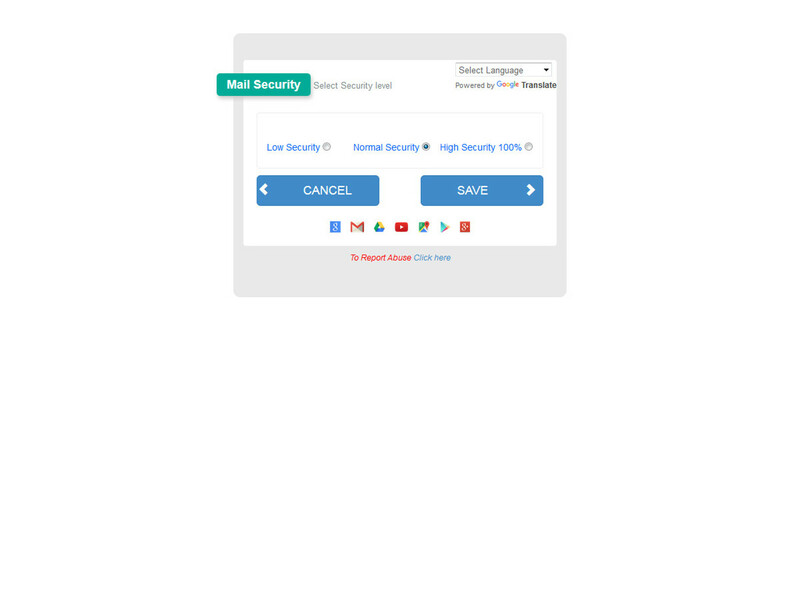 It tells the receiver they need to update their security details on their mail service account and is branded generically. The malicious link leads you to a phishing website, branded as Gmail. Don’t risk your information and delete the email.